This handle is an amazing, angle adapting handle can partner with the Liquidator channel and some other standard channels. Handle adapts to 10, 25, and 40 degrees. Works super great to do the s with a pole... a little uncomfortable as a regular hand held, but for the pole 9/10!!! Vexed by the fact that the unger ninja cannot change to multiple blade angles, and that the regular moermann swivel and angle handle doesn't have a lock, I picked up 4 of these and love them! Seem to have a better mechanism for changing the angle than the all black moerman swivel handles, and the free swivel makes them great for pole work; I have already cut 20 or so minutes off a few window sets I used to do with the ninja or moermann swivel. It seems to fit fine on my standard green unger pole tips, but for the wagtail helper handles you need something to keep it tight (I just stick my blue hospital towel over the mag tail and then put the excelerator on.) It is ergonomically comfortable for someone with medium hands. I and a few others have been using them for a month so far and they are just as functional as day one, so we will see how it goes in the long run. Wish the unger ninja had this much functionality, or any other squeegee for that matter! Great toy for kids who want to pretend they're window cleaners. For a pro, it has no use. Too bad I tossed it in the back of my truck and forgot about it. I should have sent it back for a refund! 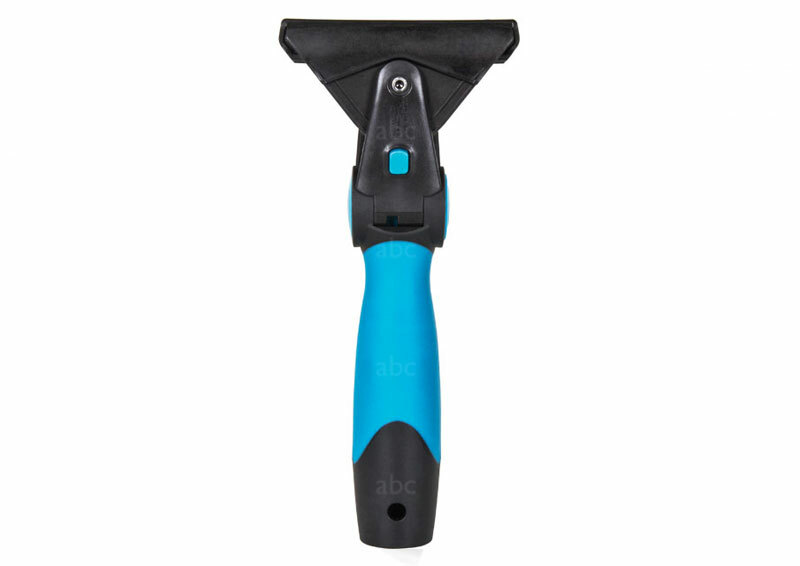 Regardless, ABC Window cleaning supply is the best online store for professional window cleaners! Products and price. The Best!!! I purchased two of these handles to see if they were more durable than the other moeran handles. Unfortunately they are not, after only of few weeks of use the angle locking button is no longer working rendering the handle useless. In total I've purchase 4 handles in the last year from morman and all of them have failed. I take good care of my equipment and expect it to last a reasonable amount of time under normal use. This handle does not fit on my Unger pole... (without jamming it on my pole) I basically cant use it until I find/buy the pole adapter piece that Moerman makes (abc does not carry it).